Pampa has a 28.5% interest in Refinor, a company that owns the only refinery in the Northern region of Argentina and which is located at Campo Durán, Province of Salta. The nominal processing capacity of the topping unit is 25.8 thousand barrels per day, whereas the two turboexpander plants’ nominal processing capacity reaches 20.3 million m3 of gas per day. The Campo Durán Refinery (‘RCD’) receives condensed and crude oil from the Noroeste Basin in Argentina, and natural gas from the Noroeste Basin in Argentina and from Bolivia. These operations are conducted through two oil pipelines and three gas pipelines. In 2017, the average daily processing of crude oil amounted to 7,826 barrels. In turn, gas processing reached a daily average of 14.2 million m3. In 2012, an agreement was executed with ENARSA (former ‘Energía Argentina’, now ‘IEA’ or ‘Integración Energética Argentina’) whereby Refinor would provide compression services for the gas ENARSA imports from Bolivia. This agreement was later amended to increase the gas compression capacity up to a volume of 26 million m3/ day, and to extend its term until April 2019. Besides, Refinor operates a 1,108 km multiproduct pipeline extending from RCD (Salta) to Montecristo (Córdoba), which supplies the Banda Río Salí (Tucumán) fuel dispatch plant, and the Güemes (Salta) and Leales (Tucumán) LPG (‘liquefied petroleum gas’) dispatch plants. In Montecristo, it connects to a YPF (‘Yacimientos Petrolíferos Fiscales’) multiproduct pipeline which reaches the town of San Lorenzo (Santa Fe). This multiproduct pipeline is the most important distribution path for all liquid fuels generated in the Noroeste Basin in Argentina, which transports gas oil, gasoline for petrochemical use, components of gasoline for automotive use, butane and propane. 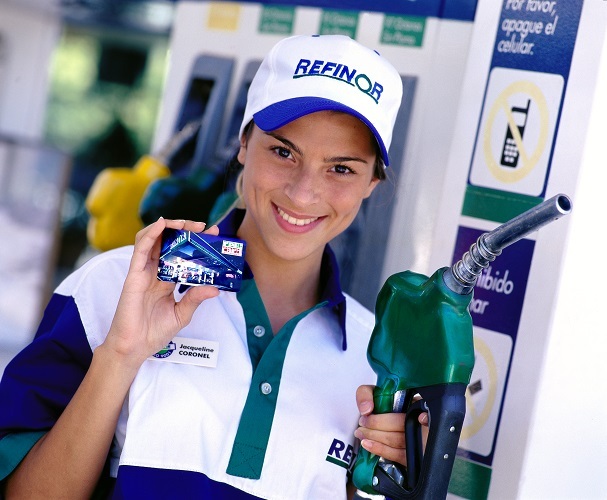 As of December 31, 2017, Refinor had a commercial network of 81 gas stations in the Provinces of Tucumán, Salta, Santiago del Estero, La Rioja, Jujuy, Catamarca, and Chaco. The network offers a high-performance fuel line: Refinor 97 (97 octanes), Super (95 octanes), Eco Diesel, and Eco Diesel Premium. In 2017, sales of gasoline, gas oil, raw gasoline and other liquid fuels amounted to 568 thousand m3, which represents a 7% year-on-year increase. LPG sales amounted to approximately 180 thousand tons in 2017, experiencing a 14% decrease compared to the previous year.